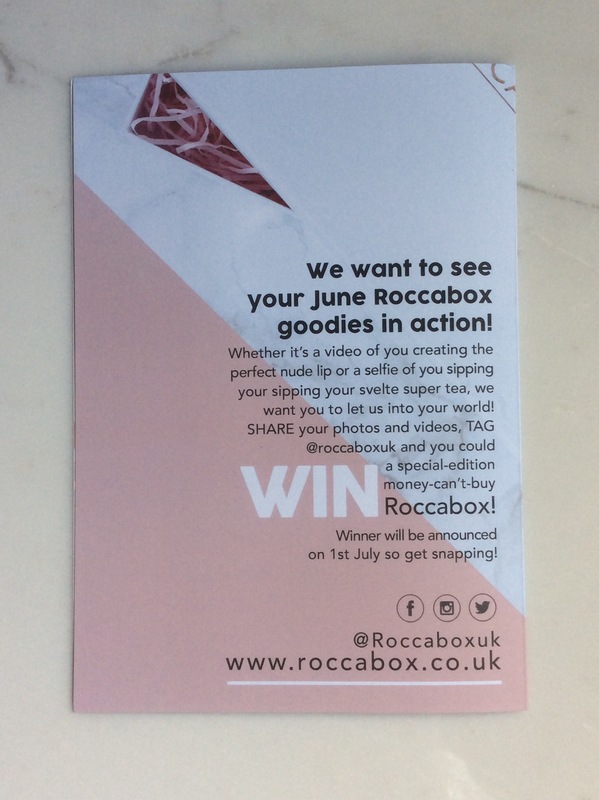 I received the June Roccabox beauty box today, my second box. 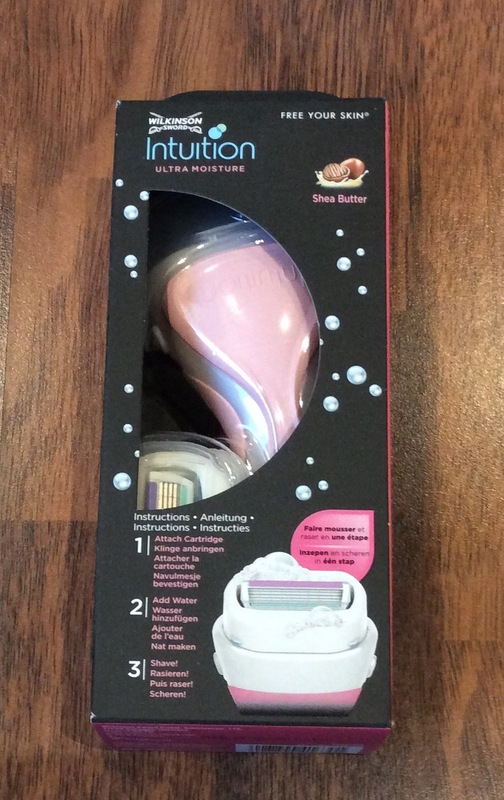 Although I have not got a chance yet to try the products properly wanted to let you see what was is in it and my first impressions of the contents. 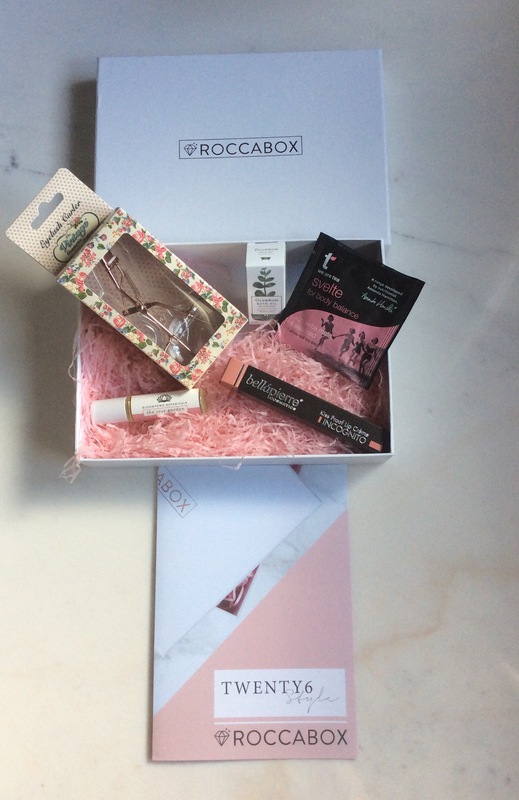 Roccabox is a monthly subscription beauty box which costs £10 a month (plus £3.95 p&p). 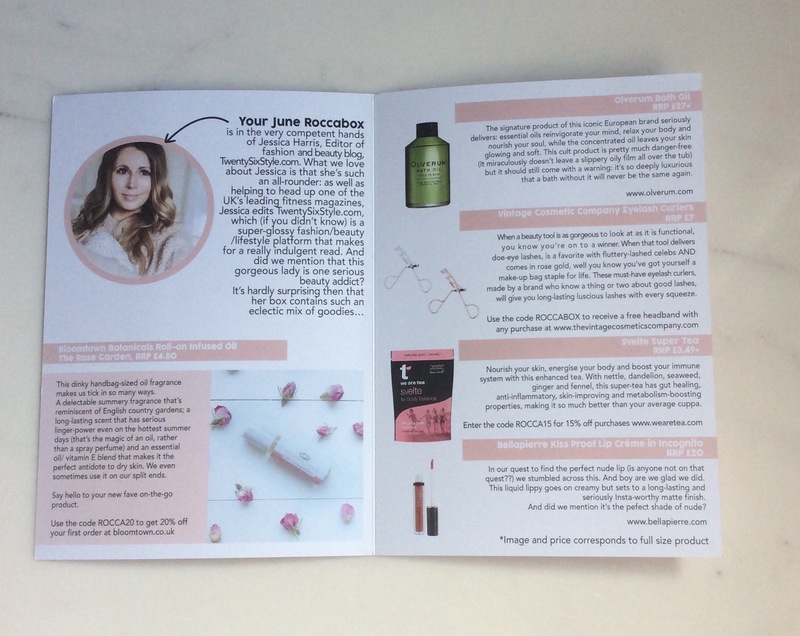 Each month you’ll receive a box of beauty treats hand picked by one of the industry’s best loved personalities / influencer, along with their top beauty hints and tips – for more details please see link here. 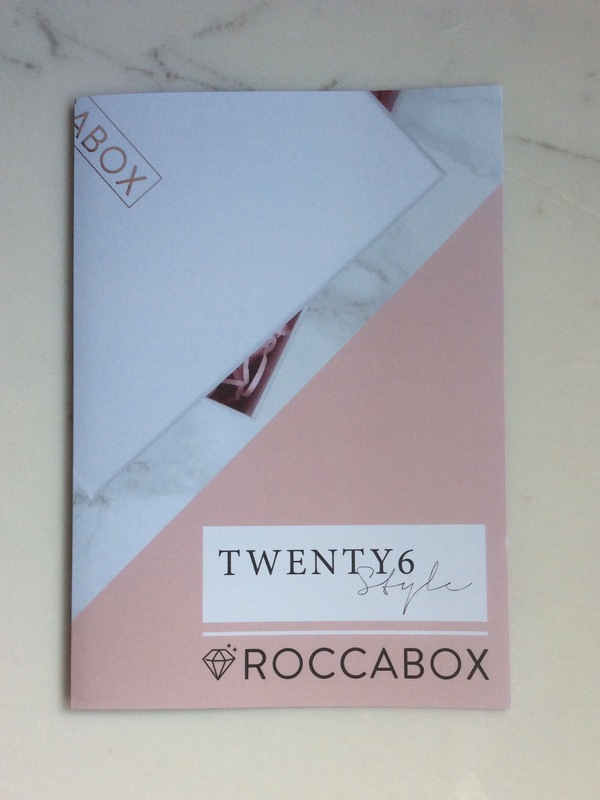 This month Roccabox have teamed up with Jessica Harris, Editor of fashion and beauty blog, TwentySixStyle.com. 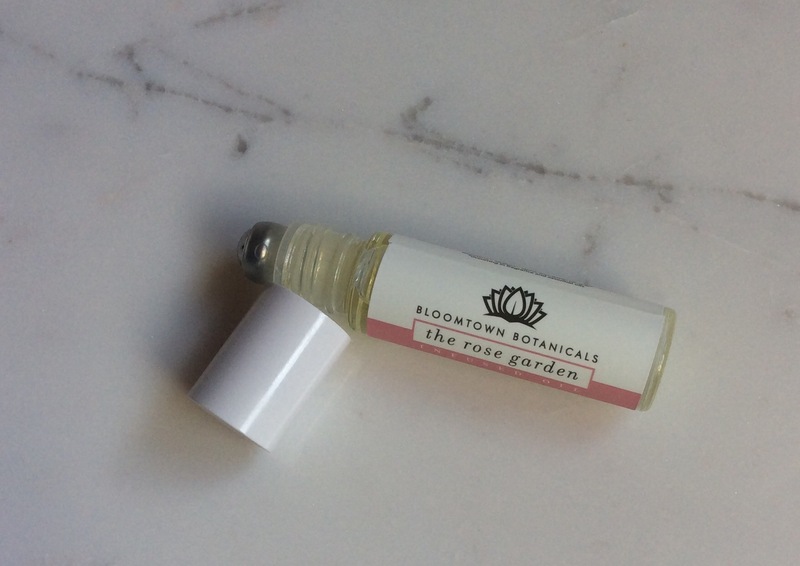 Products come packaged in an outer white box with rosegold lettering and an information card (photo below). 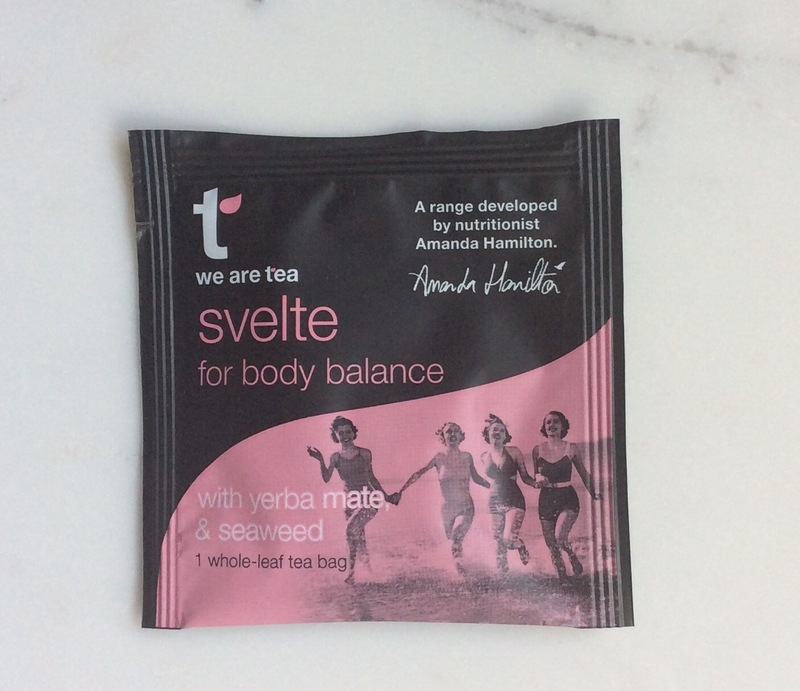 Svelte Super Tea for Body Balance (one bag) – Full Size £3.49 for 12 pyramid tea bags – although this is a ‘super’ tea which states will help nourish your skin, energise your body and boost your immune system, bit disappointed this was included as one of the five items – would have preferred another makeup item and this included as a bonus item. 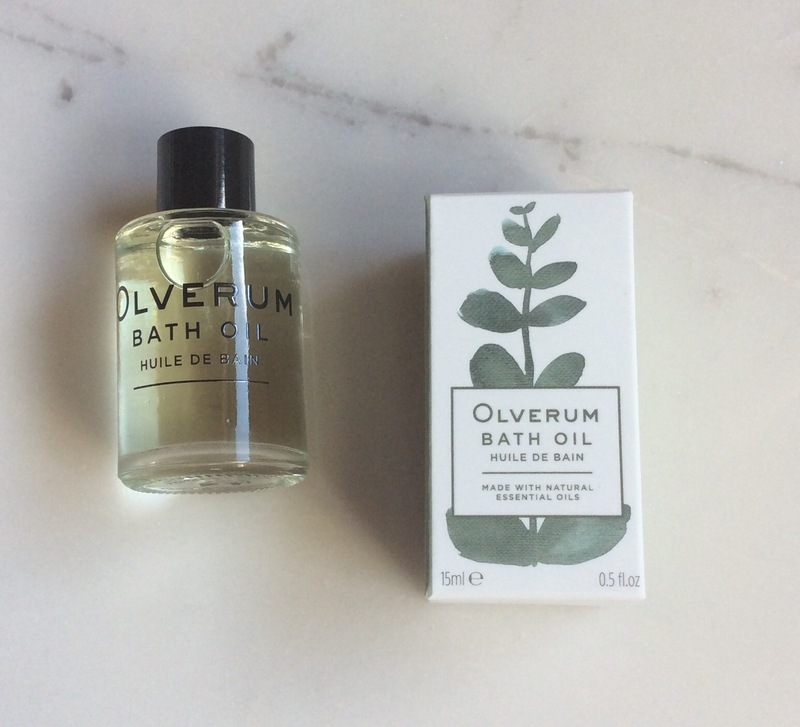 This box is still good value as total value of products are worth over £35 and I will use all of the items but bit disappointed as one ‘whole-leaf tea bag’ was included as one of the 5 items. 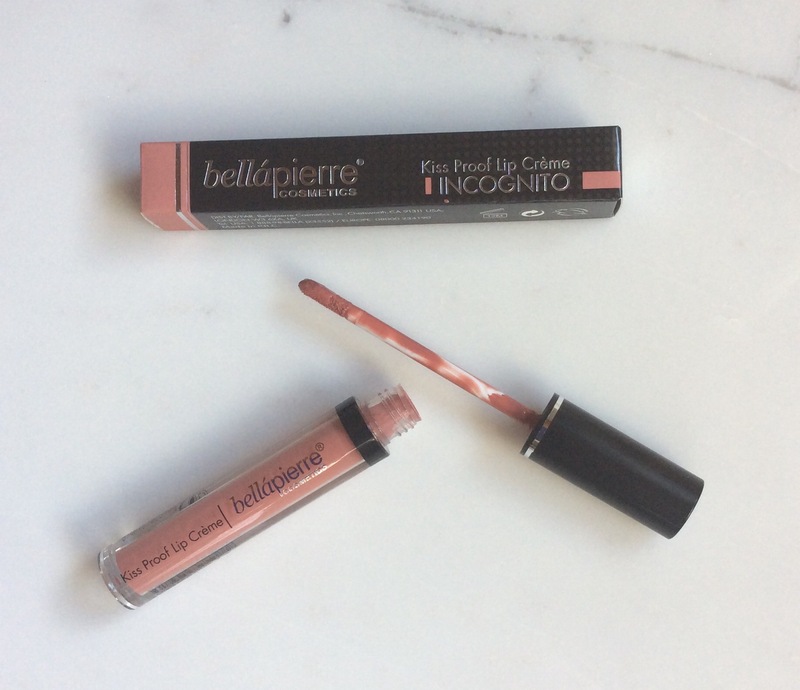 As usual I would also have preferred to have had more makeup items included, but as I have said number of times before this is what beauty boxes are all about discovering / trying new products and therefore it is a bonus if you love all the products. 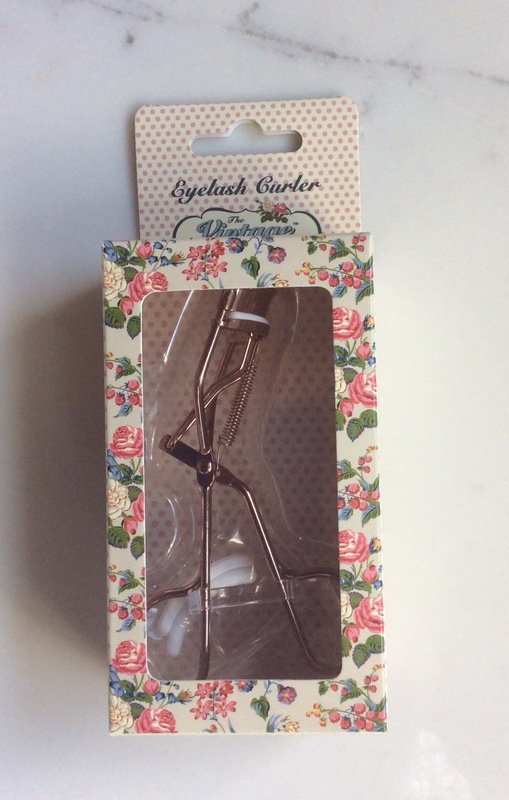 I would definitely recommend trying this box if you can, as it will be a lovely surprise to see who the collaboration will be with each month and I am also hoping the ‘influencer’ next month has more makeup items included in their selection (hopefully no more ‘tea bags’ or if included only as a bonus item). 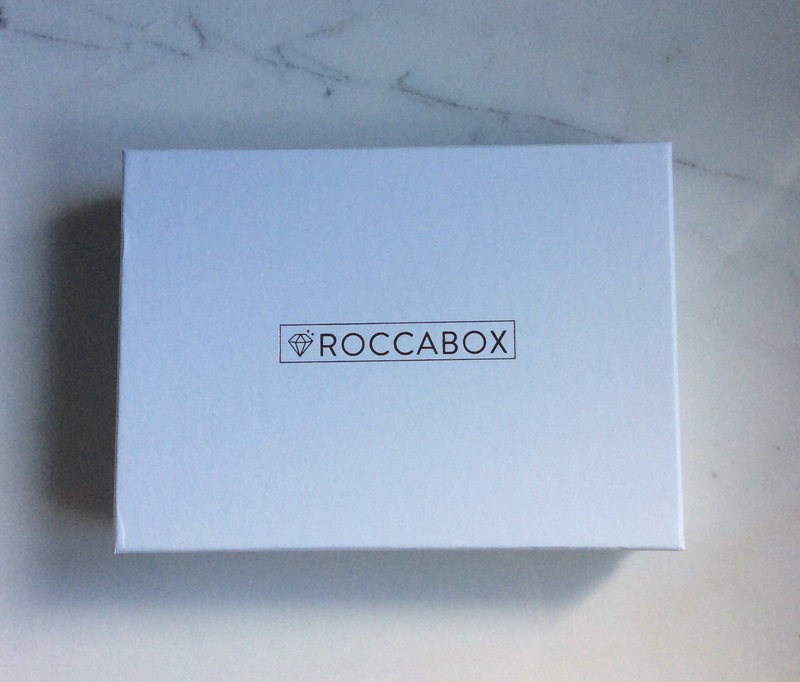 Details also included on back of information card of how to win a special edition Roccabox (photo / details below).